Owning and flying your own aircraft is a thrill like no other but the purchasing process can be complicated. What kind of aircraft are you looking for? What is the primary reason you will need the aircraft? How often and for how long will you be using it? Will you be taking passengers or flying solo? Are you planning on buying a brand new plane or will you be looking for a used one? Answering these questions before you physically start looking for an aircraft will help you narrow down the options available to you. It is essential that you have researched every aspect of your purchase before you commit to buying. Joining owner groups on aviation forums will allow you to ask questions and find in-depth information about every aspect of owning a particular type of plane. How much can you afford to spend? Be realistic about the type of plane you need. You might entertain the thought of having a spacious eight seater but if, on most flights, you’re only going to be carrying one or two passengers then a smaller will be more economically viable. Don’t forget that, as well as the initial purchase price, you need to factor in the ongoing running and maintenance costs. Even if your plane is grounded for much of the year then you’ll still need to pay for insurance and storage. It is good practice to establish a costs spreadsheet, broken down into monthly outgoings so you can be prepared. It is also useful to ensure that you have a safety net of money set by in case of unexpected issues that you hadn’t planned for. If you are going to be using your plane in conjunction with your work then you can determine with your accountant whether business use will apply for tax purposes. Where will you be keeping your plane? Hangars are more expensive than outside storage but will protect your plane from weather damage. If you do have to keep your plane outside then use a weather-proofing wax regularly, invest in a good cover and replace it every few years and ensure that the fuel caps keep out moisture. Wherever you store your plane, make sure you budget carefully for the costs. It is a legal requirement to have a minimum level of aircraft insurance and this level depends on the Maximum Take-Off Mass (MTOM) of the aircraft and the number of passengers it can carry. When you have decided what kind of plane you will be purchasing you should start obtaining a range of quotes for aircraft insurance. There are different types of cover available: for example, you can pay for comprehensive annual aviation insurance or look at a ‘pay as you fly’ policy which may be more suitable if you don’t intend to take regular flights. If you will need to arrange finance to purchase your plane then you should get this agreed in principle before you begin your search. 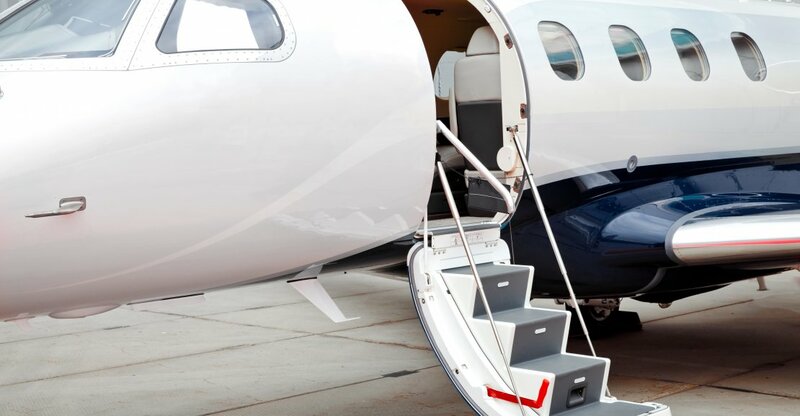 Only a small number of banks deal with the specialist area of aircraft finance so you may also wish to look for private companies that have in-depth knowledge of this. They will help you to work out which type of finance option will work best for you: e.g. a loan with regular payments over a fixed term and a balloon payment at the end, flexible repayments that fit your cash flow, or a lease deal. Once you have an agreement in place, then you are ready to start looking for your aircraft. If you are planning to buy a plane via a broker then they may also be able to arrange finance for you. It’s important that you are clear on the terms that they are offering and any additional administration costs that this might incur. When you have found an aircraft that you are interested in buying, a pre-purchase inspection is a must. If it’s a used plane then you should arrange for an aircraft engineer to accompany you: you will have to pay for this but it’s well worth it as they can uncover damage that you might miss or maintenance that has fallen behind schedule (asking to see a full history of the aircraft’s log books is also vital). Depending on the depth of the inspection, the engineer will check that all Airworthiness Directives and Service Bulletins have been carried out and will look at the state of the engine, avionics and interior. If the plane hasn’t flown regularly over the last couple of years then you should ask the engineer to check carefully for engine corrosion. Once they have checked the plane over they may also be able to give you a valuation. If you are not sure how long you are going to want to keep the plane you might want to think about its potential resale value. You can take into consideration whether it will be approaching its TBO (time before overhauls) or if it has incomplete or damaged logbooks, as these factors will make it harder to sell. Alternatively, if it has been recently painted, or given an updated interior, its resale value may well be increased. You will also need to take the aircraft on a demo flight – use this time to monitor its performance and compare the cockpit readings with the manufacturer’s information. Timed speed runs between checkpoints can also help you gauge the plane’s performance. Arm yourself with as much knowledge of the plane as you can through the pre-purchase inspection and demo flight as this means that you may well be able to negotiate the price with the existing owner if you go ahead with the purchase. All aircraft must be registered (this is with the Civil Aviation Authority in the UK and the Federal Aviation Administration in the U.S.A) so you will need to check the legal status of the plane. In the UK you can do this via the G-INFO Database, and in the U.S it’s through the FAA Registry. When you’ve ticked every box on your pre-purchase checklist and you’re satisfied that the plane you’ve found is both airworthy and suits your needs then it’s time to make things official and enjoy many happy hours of flying! If you have any questions about buying a used aircraft, or you have a plane that you would like to list on AeroClassifieds, please get in touch with us today.